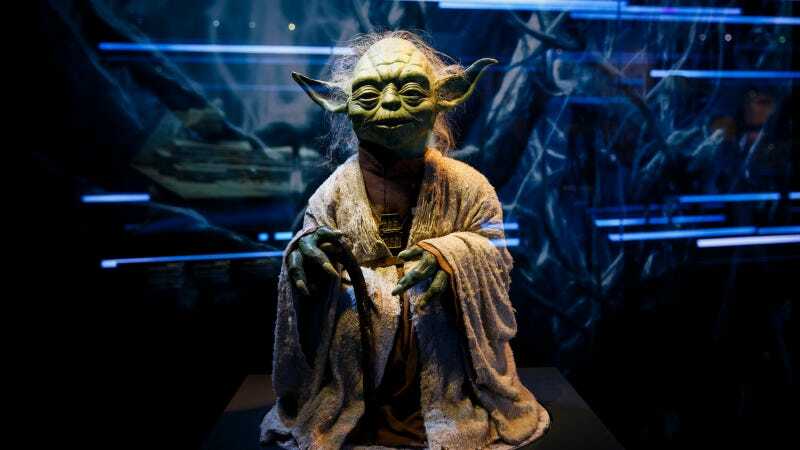 According to The New York Daily News’ unnamed sources, Yoda might be appearing in the next Star Wars movie as a new mentor for Rey. Supposedly, he will show up “as a ghost” in a scene where he “acknowledges Rey’s success and growth as a Jedi.” That’s not a particularly shocking rumor, since Yoda materialized on Porg Island to acknowledge Luke Skywalker in The Last Jedi, though it would seem a little redundant since Rey’s whole storyline in that movie was about trying to get an old Jedi to teach her Jedi stuff. Also, she has no idea who Yoda is, unless the legends of the Rebel Alliance included a side story about the great hero Luke Skywalker eating stick-based food in a swamp and doing flips with a Muppet in his backpack. But hey, J.J. Abrams has earned a reasonable amount of trust after The Force Awakens, so if he wants Rey to meet Yoda, he probably has a good reason. It would make more sense to have Luke come back as a ghost, since he’s one of the few Jedi who hasn’t gotten to do that yet, but it would be more appropriate to have him troll Kylo Ren a bit from beyond the grave rather than to have him acknowledge Rey. Either way, it is a Star Wars movie, so someone’s ghost will most likely appear at some point—whether it’s a blue Jedi spirit or a CG creation like Peter Cushing in Rogue One.